Essay writing is the a art and here are the main types of essay includes Descriptive, Narrative and Academic essays. Descriptive essay usually refers for description of something like, picture, building, personality etc. Narrative essay includes narration of event, story, thinking and history topic. it may be written in first person form. Academic essay students are often asked to write academic essays, college essay is another form of this. To write an essay you have to make comparative study of the relevant as well as general topics. you should have a grip on general Knowledge as well as current affairs. In introductory lines general information and definition of topic of essay is explained and may briefly described. Often examiner guess the ability of writer through reading the introductory lines. 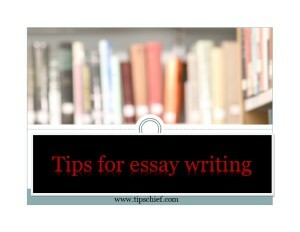 so students and writer are advised to use their best of knowledge and information while introducing the topic of essay. There may be as many as body paragraphs as the topic and limit of essay words allow. Briefly explain the supporting elements of essay’s topic with evidences and valid references, quotation and sayings supported to the topics may be added. Use simple and free of error language. It is your choice whether you write in favour of the topic or against but your point of view should be powered by strong arguments and supporting evidences, so that it may be convincing. You can also use the balance style of writing by showing the both parts of image. Conclusion is the net shell of your thesis and arguments, in conclusion you have to comprehend and precise your ideas and arguments. Conclusion should be supported with suggestions and constructive remarks. At the end read the draft and edit it to make it free from grammatical and spelling mistakes. Do not use long sentences and slags. Use punctuation and grammatical orders while writing. Only use authentic and fair references, do not use controversial remarks and references. Your essay should be simple rather than a literature piece. It is suggested that before writing essay give and outline. Compose and comprehend your ideas and thoughts. Often well composed and thought provoking essay get admiration. Write in short lines keeping your paras small as well. Give logical sequence to your essay. Regular writing practice is necessary. At the end read the essay one or two time to make it error free.